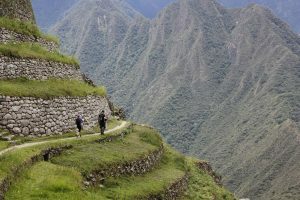 PEAK South America, one of Intrepid Travel Group’s tour operators, has earned an overall sustainability rating of 99.6% in Peru, which according to the Rainforest Alliance, makes it the most-sustainable tour company operating in the country. The Rainforest Alliance, a not-for-profit organization, certifies responsible tour operators with a green frog seal of approval based on how tour operators demonstrate they’re minimizing their environment impact, supporting local staff and preserving local communities and cultures. Rainforest Alliance audits confirm these businesses meet tourism criteria, which are recognized by the Global Sustainable Tourism Council, and include: protection of nearby ecosystems; wise use of natural resources; climate change mitigation and benefits to the social and cultural development of surrounding communities. 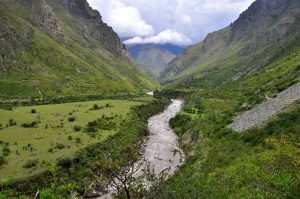 Intrepid, which specializes in real-life experiences with a focus on local interaction and experiences, focuses on hiring local to aid with economic development, and has offices in Lima and Cusco. Of the 35 office employees, 99% are hired locally. Meanwhile 100% of the company’s porters hired for hikes are from local communities. In addition, the Intrepid Foundation is active in donating to local initiatives in Peru.